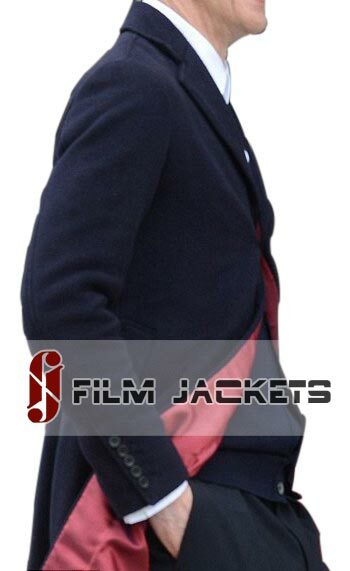 Look formal in an all new Celeb’s style by wearing the 12th Doctor Coat. 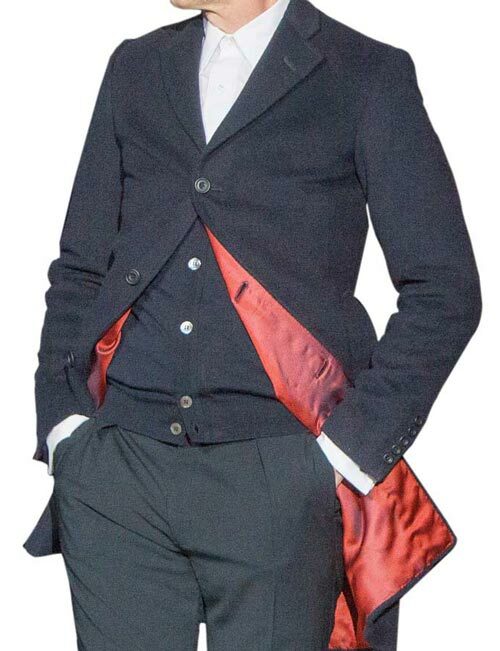 Produced by Fjackets, it has been inspired from the television series of Doctor Who by Peter Capaldi as the Twelfth Doctor. It is a total trendsetting outfit made for you to style at formal occasions and when it comes to designs it looks totally the same. It is made from Wool Blend, along with inside Red lining that gives the coat appearance a classy one. Twelfth Doctor Coat is a great fitting piece that guarantees to be a long lasting wear due to the stitching done throughout by the makers. Blue vest can also be added for additional 39$. Also, make room for his Maroon Velvet coat. The only TV character that has kept the audience intact and at the edge of our seats for more than five decades. The Doctor Who costume changes with the actor that portrays him and also the period it was shot it. 12 actors have been blessed with playing the role of Doctor Who. So this means there are twelve different costumes that you can wear on next Doctor Who convention or this Halloween. By following this guide you will get the sheer perfection that all the professional cosplayers get, without any hard work or sweating effort. All you have to do is follow each step carefully. The fit and feel of the cost and vest are great. If you’re going for the full layered look remember to order a size with enough shoulder room. Fitting a pink henley, T-shirt, and hoodie under this coat adds a lot of bulk. The liner is alright, it’s at least not straight red like many of the costume coats. It has the texture but it’s not as rich as the true crombie lining. Still 100% satisfied! In the past I have purchased two of Dr Who jackets from you. I am pleased with both of them and have received compliments from Whovians and others who don't know the show but like the coats. In the latest Dr Who, Extremist, Capaldi sorts a new twelfth doctor coat. I hope you plan on reproducing this one. It looks great. It's a blue/grey linen that looks a little worn. If and when you carry it, count me in. BTW, I bought my wife Speedy's jacket from Arrow. Looks great. 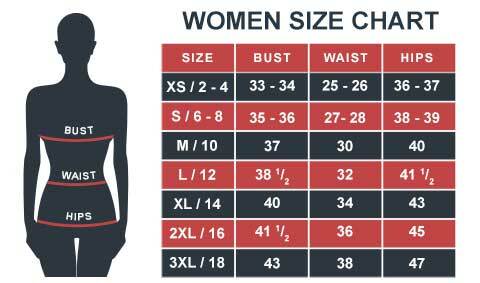 Finally, thank you for accurate sizing information. It makes online order less stressful. I love the Jacket and it got here way faster than I thought it would. Also, very good communicator! So impressed I went back and bought the vest too! I want to get this for my trip to Six Flags Freight Fest just wish it was easier to find the other pieces but definitely thinking about buying from this seller since it seems this seller gets back to people better then the rest. I am often nervous about buying clothing online but I am very happy with this purchase. The jacket is very nice and fits great. I also received my jacket much quicker than I expected as it was delivered in just under a week after placing my order. Ok first thing first: This is a really nice coat. It's for the most part pretty accurate to the one the doctor wears. However, I don't believe it is worth $189.99 at all. Also, the shipping service I had was extremely dissapointing. I understand that halloween could have been a hassle for shipments on this site, but my emails took to long to be responded, and sometimes they weren't responded at all. Nevertheless I did receive my jacket just on time, and I am really pleased with it, but I just don't think it's really worth this price. First of all, it was really nice dealing with you, as you all are better than the other online store who ends up replying me late and sometimes argues for nothing. So for future I’ll make sure I’ll come back here to check some more good ones.